Once you open the homepage of EduBirdie, you will notice that this company has a trendy, unique website. The cute birdie is the first thing you will see, but will soon become irrelevant since right next to it, you will find an interesting statement that says: ‘Place your order for free now’. You are surely thinking ‘Did I find a service that charges nothing for papers?’. Of course, this statement cannot be less true. The company does charge for academic papers and this review is about to show you how much. If you check out the Services page, you will notice that Edu Birdie offers a very small list of academic papers such as essays, dissertations, research papers, term papers and coursework. However, once you try to place your order, you will find a wider choice in the dropdown menu. This list is again not exhaustive, but does contain all commonly assigned papers. If you were expecting a price list or any indication of the pricing this company offers, look no more! There is nothing about the pricing on the website, except for the statement ‘get high quality papers for only $16 per page’. If this is the lowest price of the company, we cannot say that Edubirdie.com is affordable when compared to other writing services. Prices here depend on the writers who will bid on your papers, since the company works on the following principle: you provide them with the information about your paper, writers bid on it and you pick your writer. So, the statement for placing your order for free is false in every possible sense. As expected, there is no discount offered by this company. Due to their system of working, Edu Birdie cannot offer any special discounts or loyalty programs. The paper we ordered from this company was a term paper that came at a relatively affordable price. We got no discount and chose one of the cheaper options, since the majority of bids were too high for a student’s budget. Our term paper was less than satisfactory and not worth an A. The writing style was not suitable for the academic level we ordered it for. However, we can say that it was properly formatted, well referenced and delivered within the deadline. Contacting EduBirdie.com is easy since you have two options: e-mail and live chat. The most interesting feature here is that the company gives you the opportunity to use the live chat to communicate with your own writer, which can be considered a huge advantage. In conclusion, this writing service is a valid content provider, but not one we would recommend to those looking for high quality academic papers. 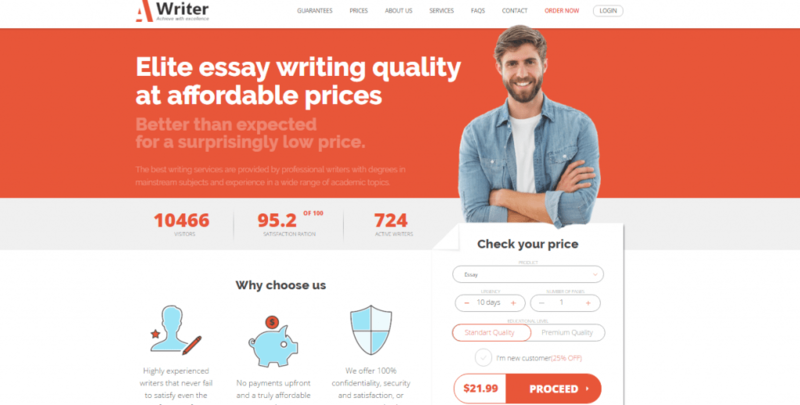 Their pricing is a bit steeper than those of other companies and even though you can order a paper at a lower cost, you are risking spending money on a bad quality paper. Finally, even though the company has a good customer service and solid list of services, they offer no discounts to new and returning customers.